At Jim’s Test & Tag, we are safety professionals. If your business is located in the Warana area, contact us today. Our technicians are trained in both fire and electrical safety. We can service your entire business and ensure that you are compliant with local legislation. Our fire safety services Warana technicians test and inspect fire protection equipment according to the AS 1851 standard for the routine inspection of fire protection systems and equipment. After we have completed each test, you will receive a report with the results. We have a free reminder service available for all of our Warana customers. This means that you don’t have to keep track of your safety testing intervals. After your first booking, we’ll put your details in our system and send you out a notification when your next test is due. 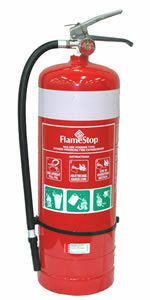 All portable and wheeled fire extinguishers need to be inspected at least once every 6 months (pressure tests and refills must occur at least once every 5 years). After we have completed our tests, we will attach metal inspection tag to your device. Your equipment will receive either a pass or a fail. If your unit fails, we can contact a manufacturer and supply a replacement. Our fire safety services Warana team members can inspect a range of fire protection devices. If you have a fire blanket on the premises, ask our technicians to check that it is safe to use. We will perform a range of checks, including a visual inspection for holes or damage, checking that the blanket can be easily removed from its packaging, and verifying the accessibility of the device. Fire hose reels are an essential first line of defence against small fires. Your hose needs to be easy to unwind and must be powerful enough to extinguish the flame from a safe distance. Let one of our team members perform pressure tests and damage checks on your fire hose reel today. Whilst we’re servicing your property, be sure to ask us about our other services. At Jim’s Test & Tag, we are passionate about all aspects of safety. That’s why our technicians are trained to perform electrical tests and fire safety checks. We also supply first aid kits to businesses throughout Warana. If you’d like to know more information about any of our services, browse through our website and get in touch with our fire safety services Warana team today.